Accessories for your favorite zombie apocalypse setting. 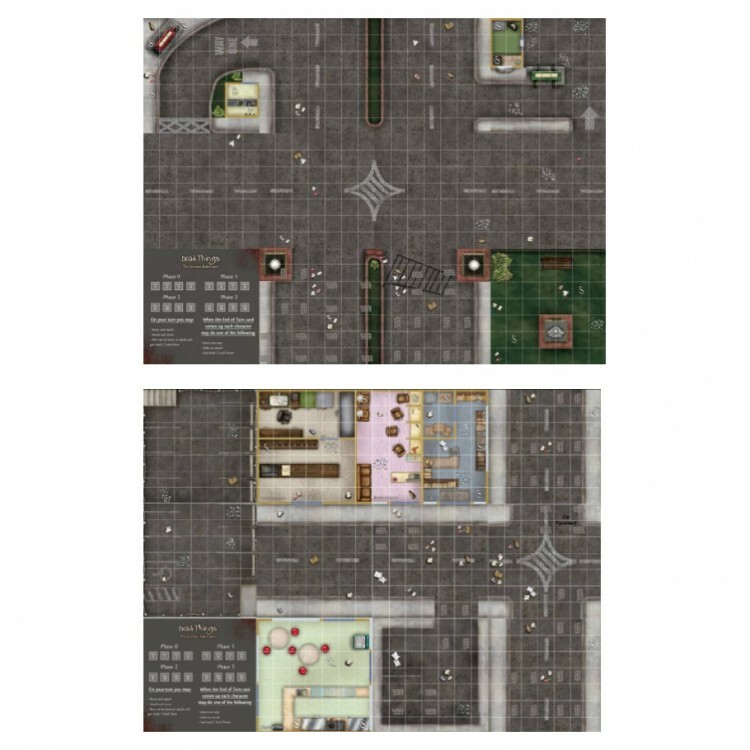 Featuring two large maps and 20 standup zombies (in 4 styles). Where’s that extra zombie when you need one? It’s right here! Maps are customizable to suit your scenarios.